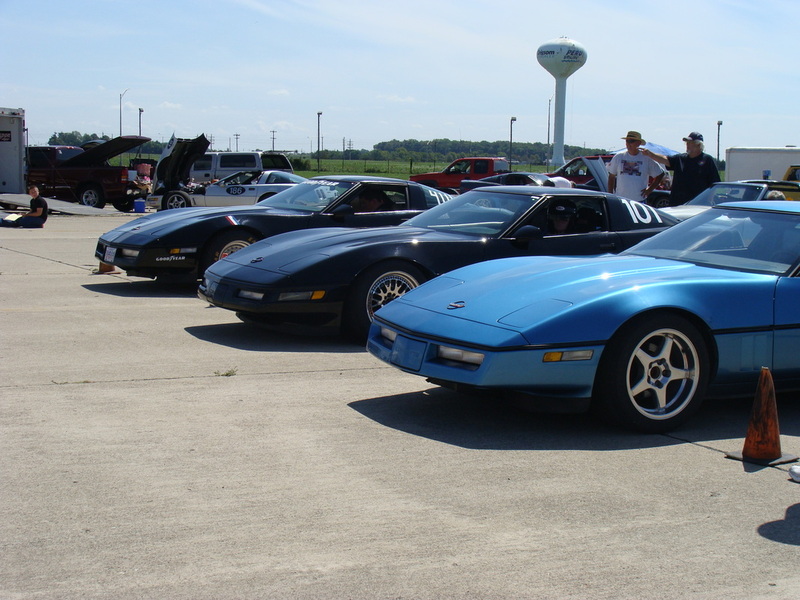 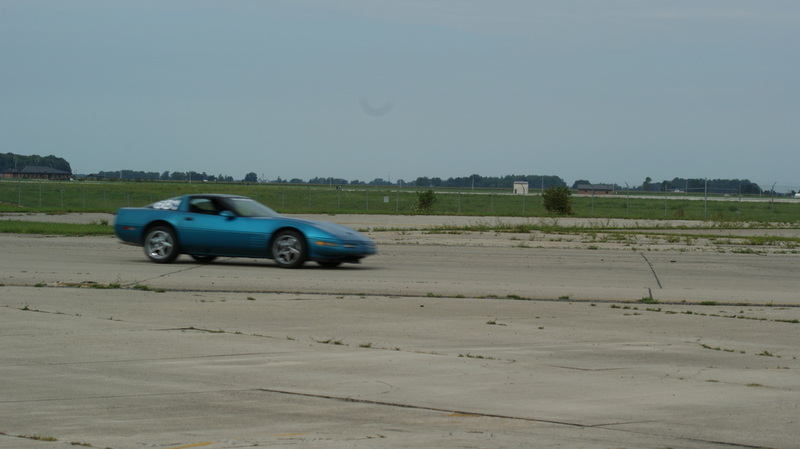 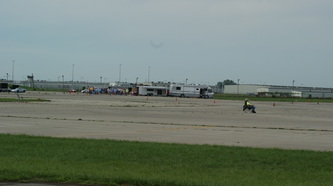 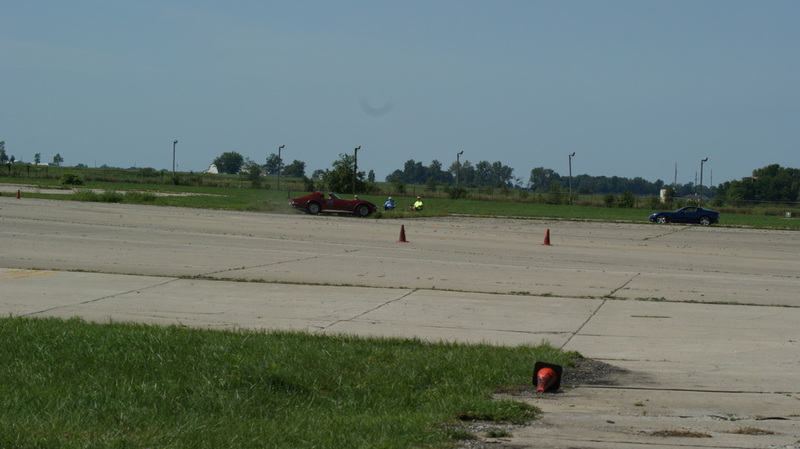 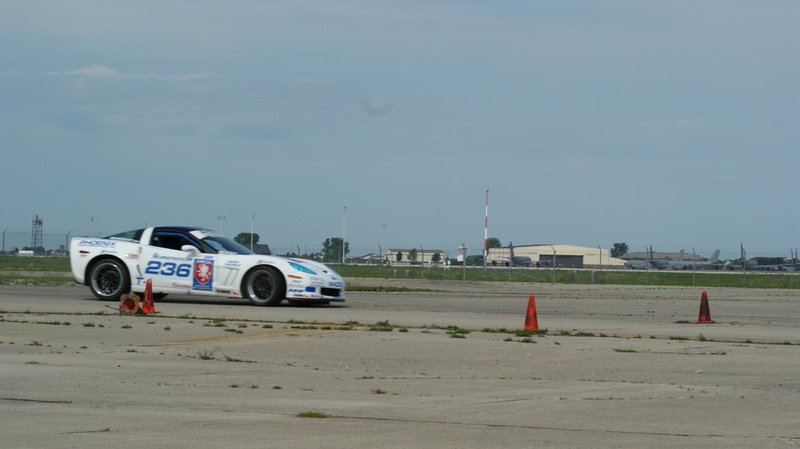 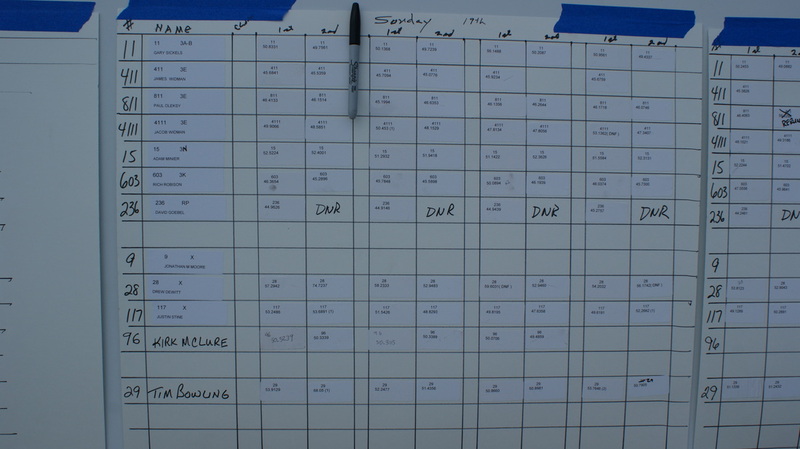 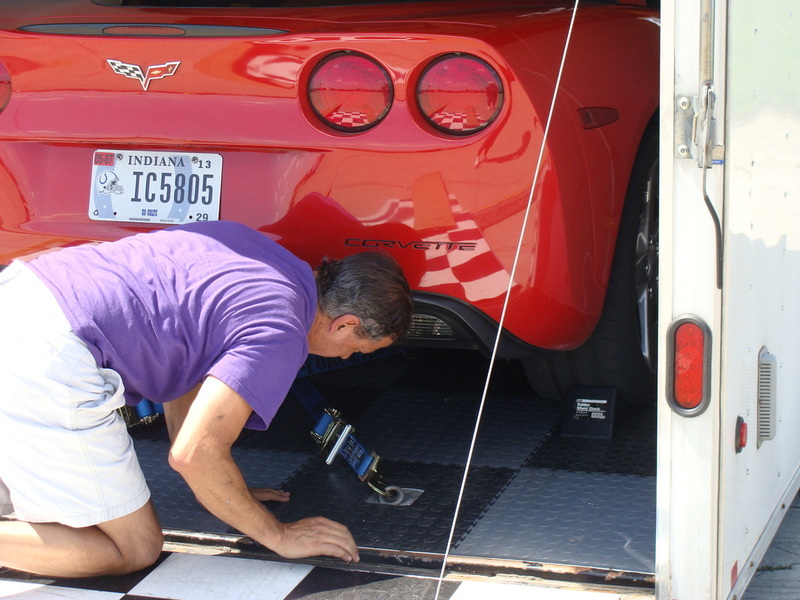 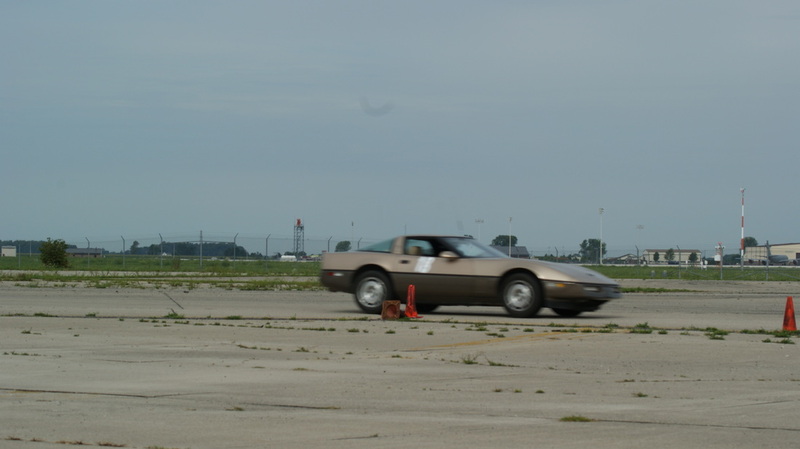 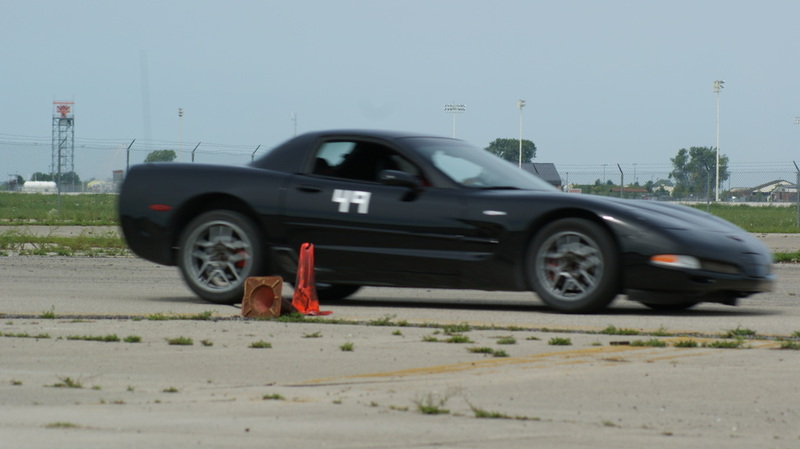 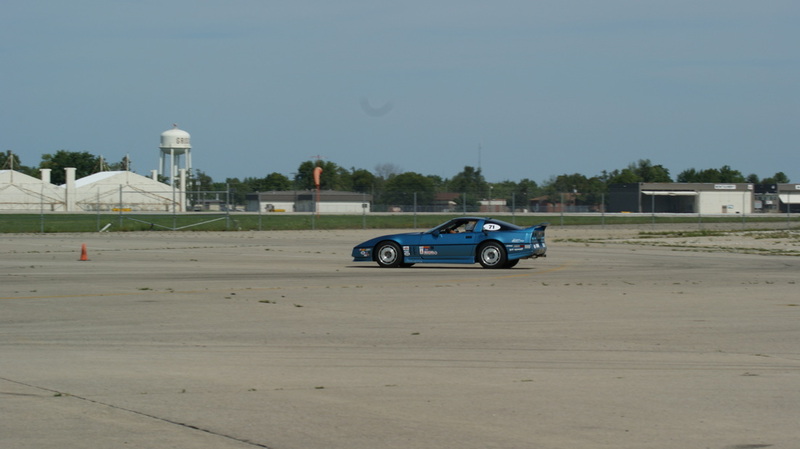 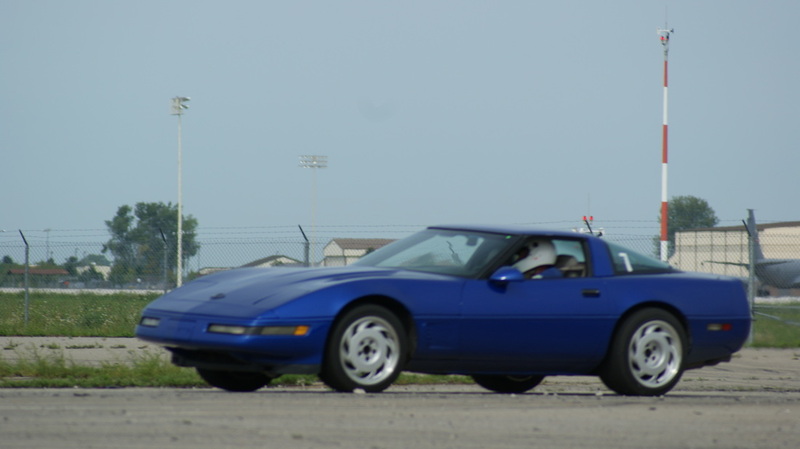 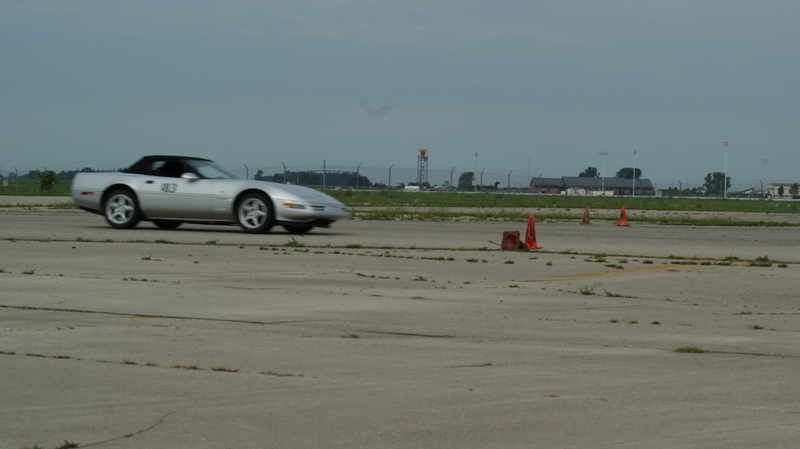 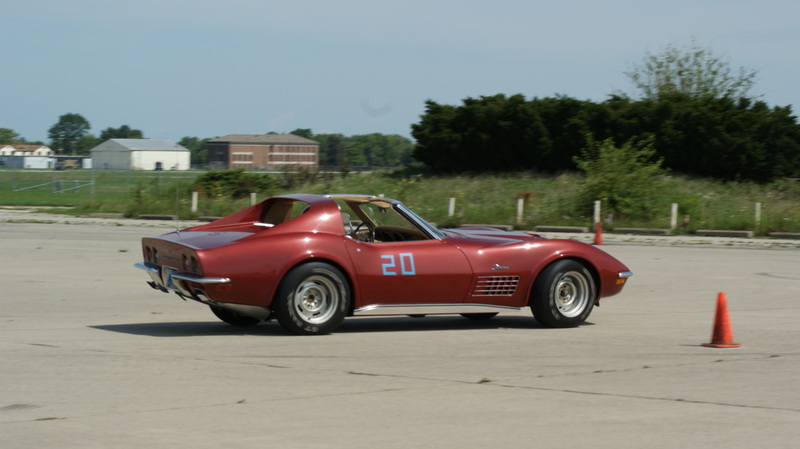 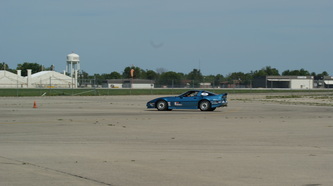 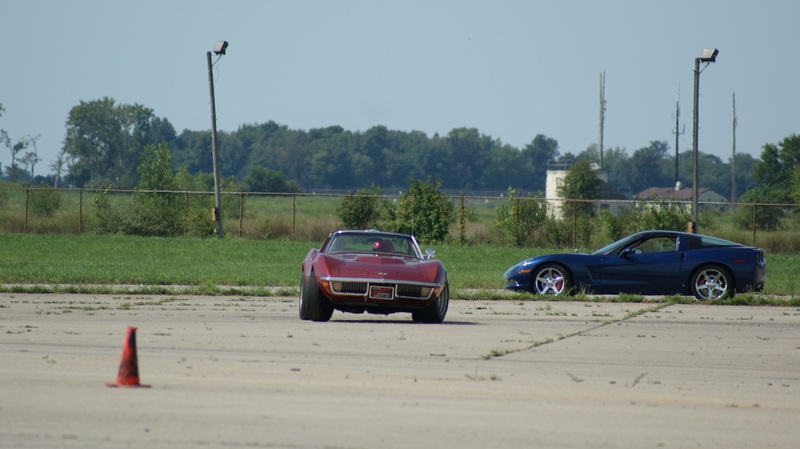 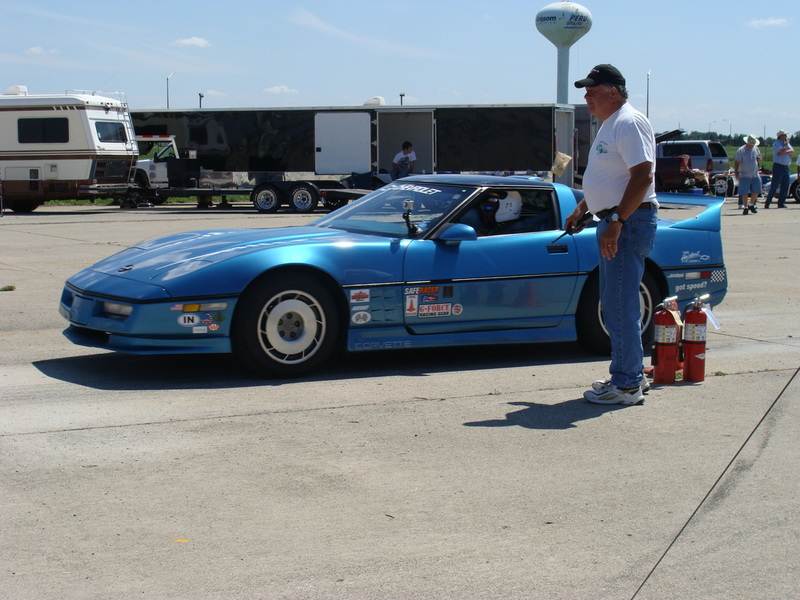 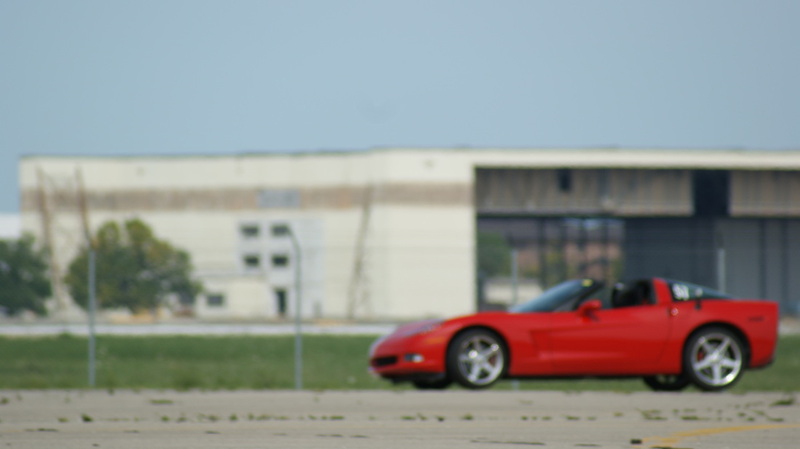 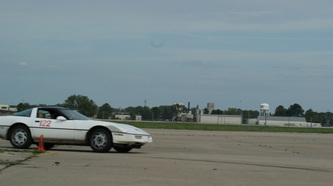 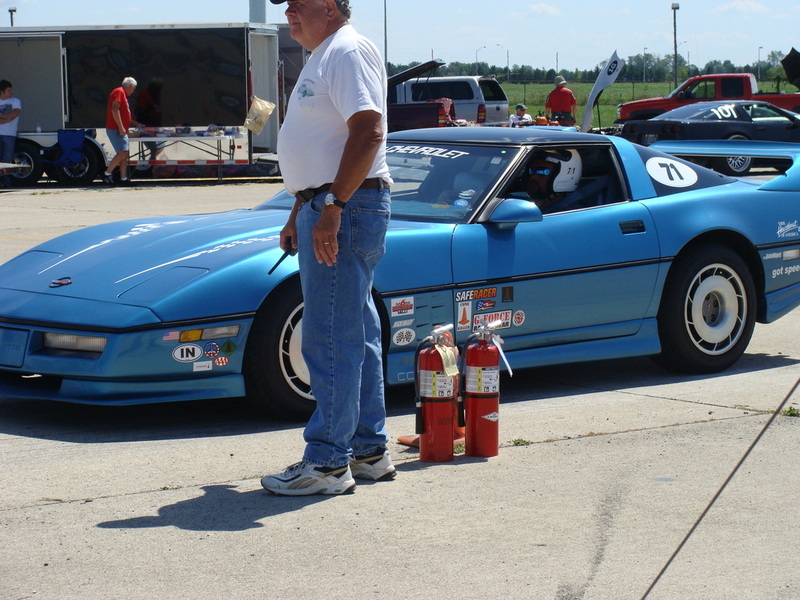 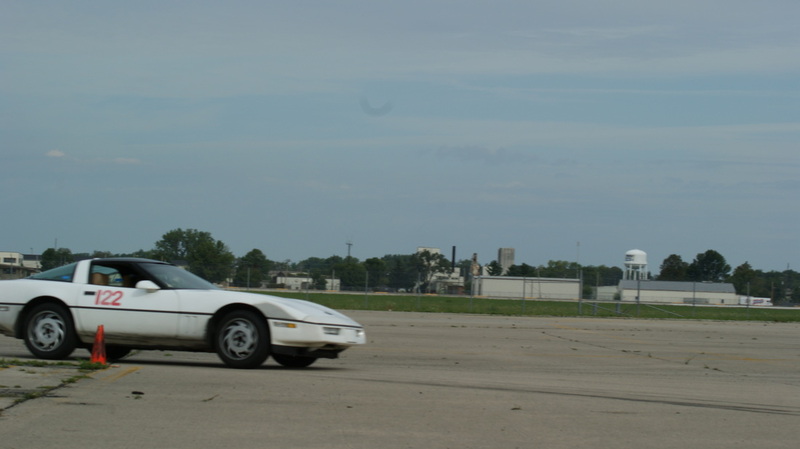 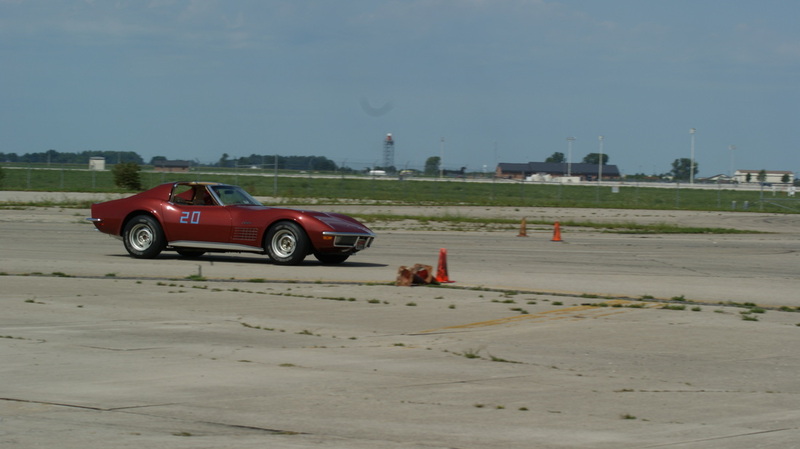 On Sunday the Fort Wayne Corvette Club and Corvette Club of Indiana held 7 low speed events for the second day of the weekend. 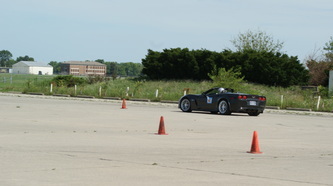 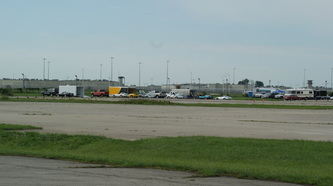 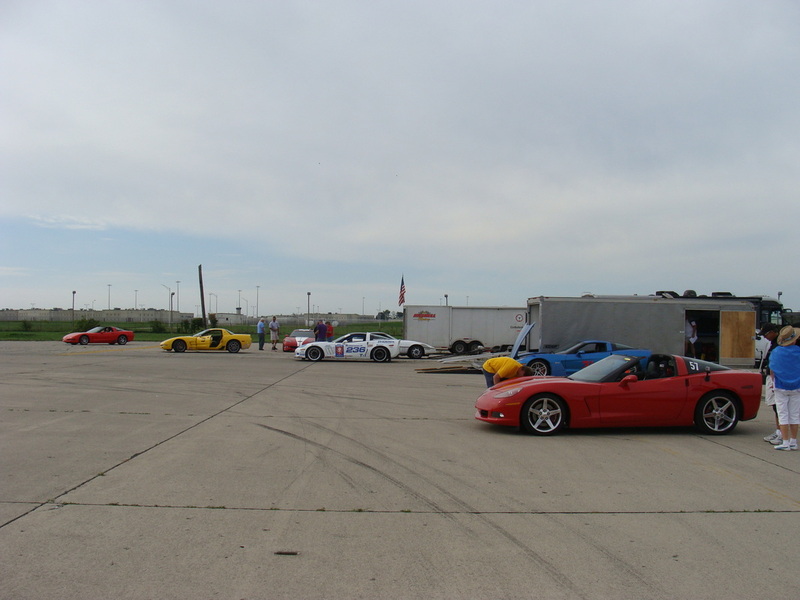 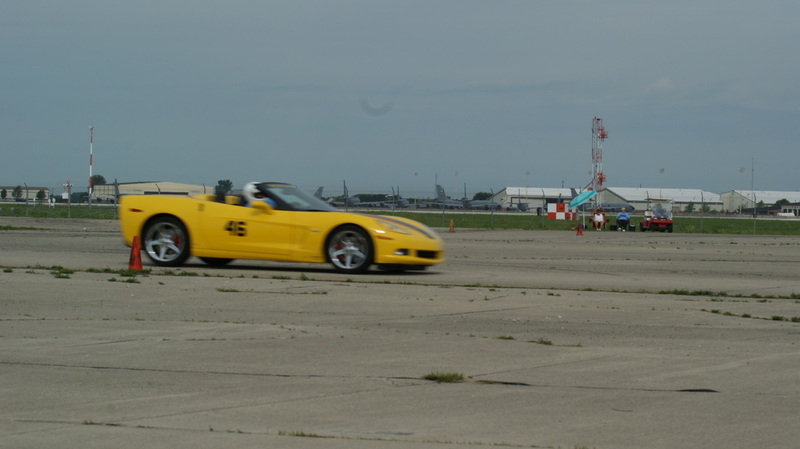 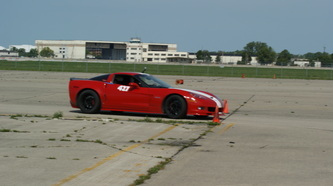 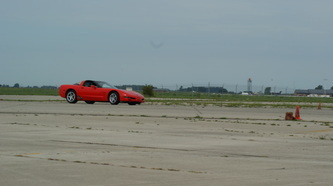 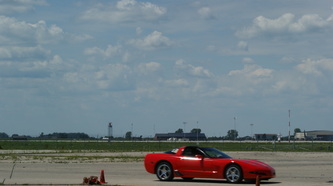 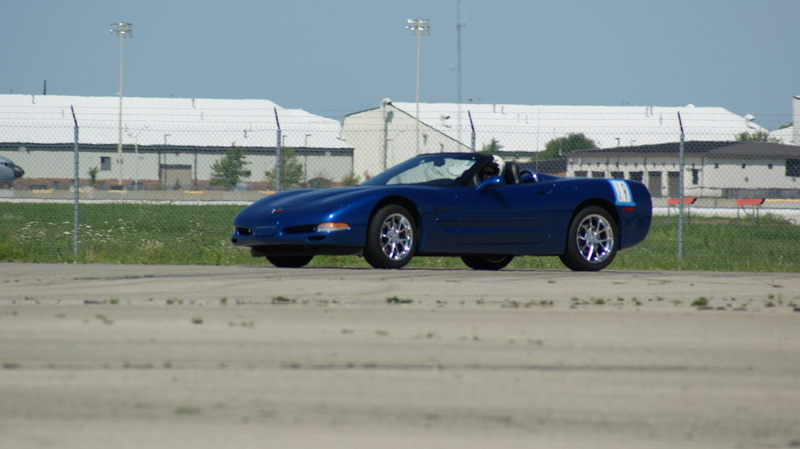 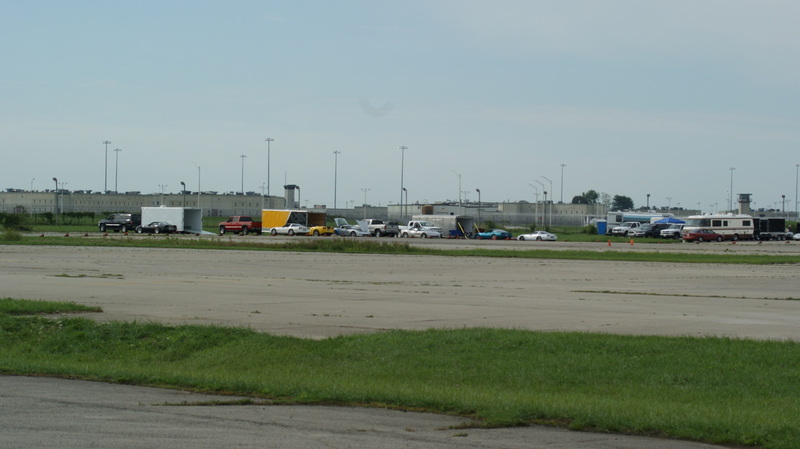 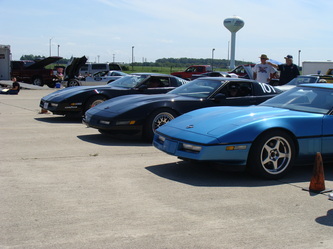 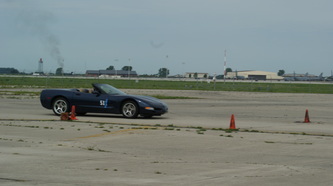 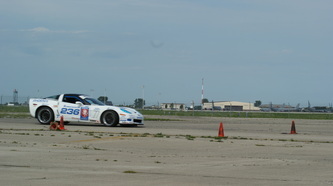 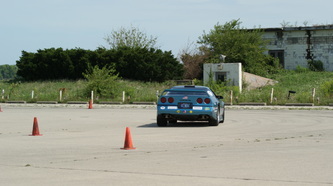 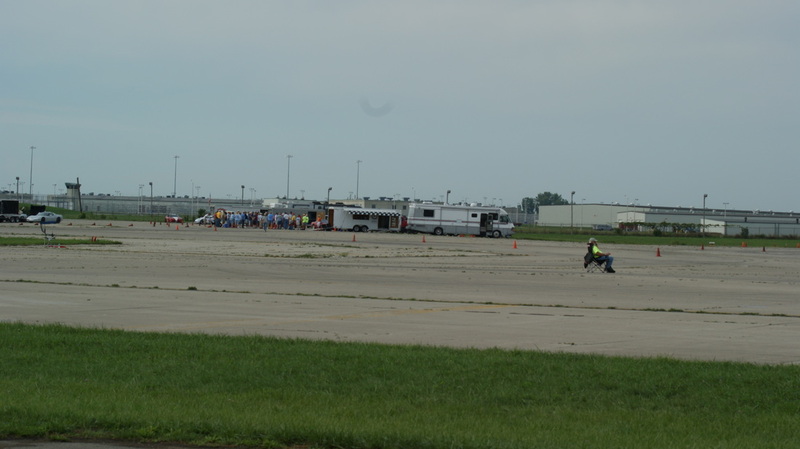 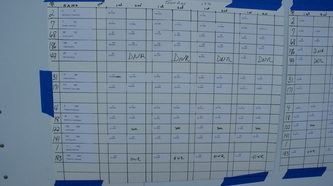 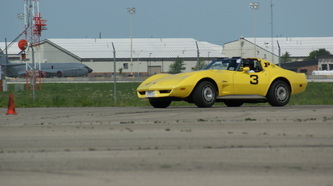 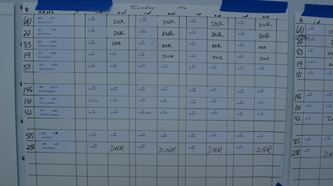 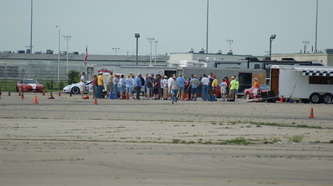 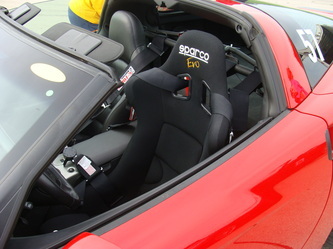 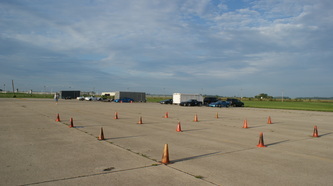 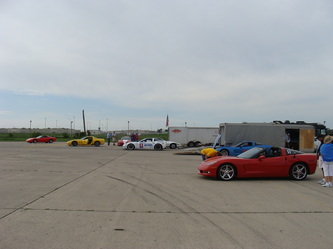 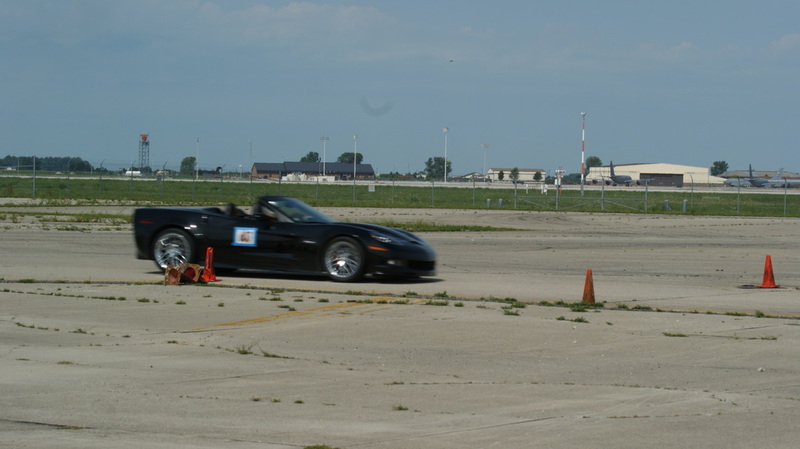 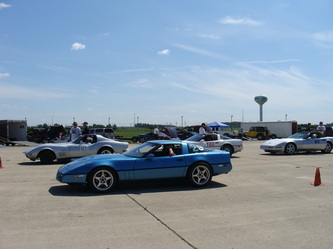 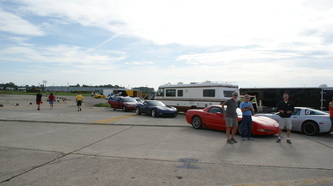 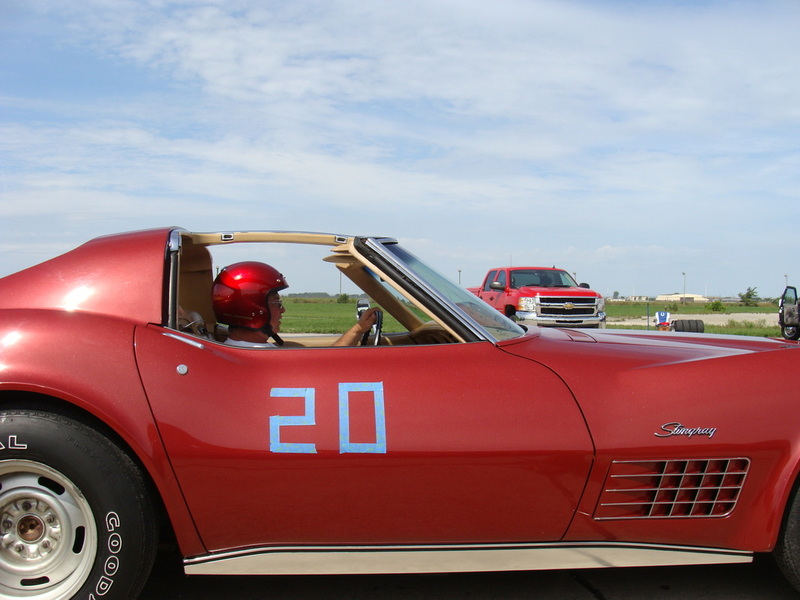 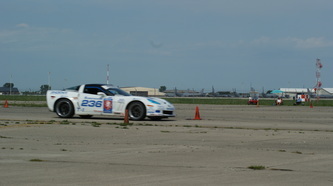 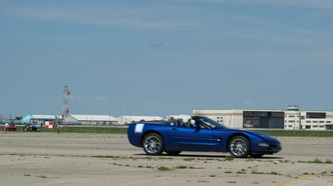 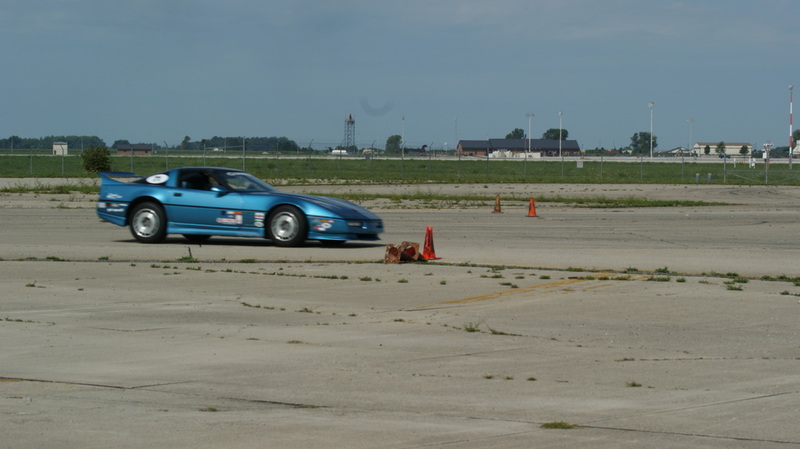 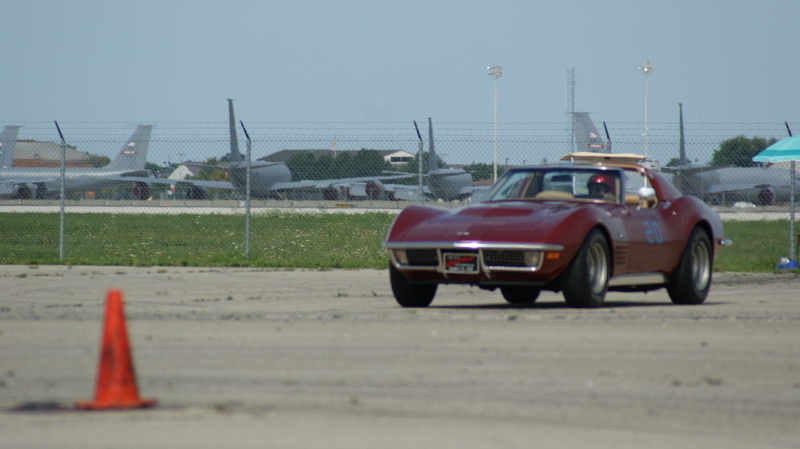 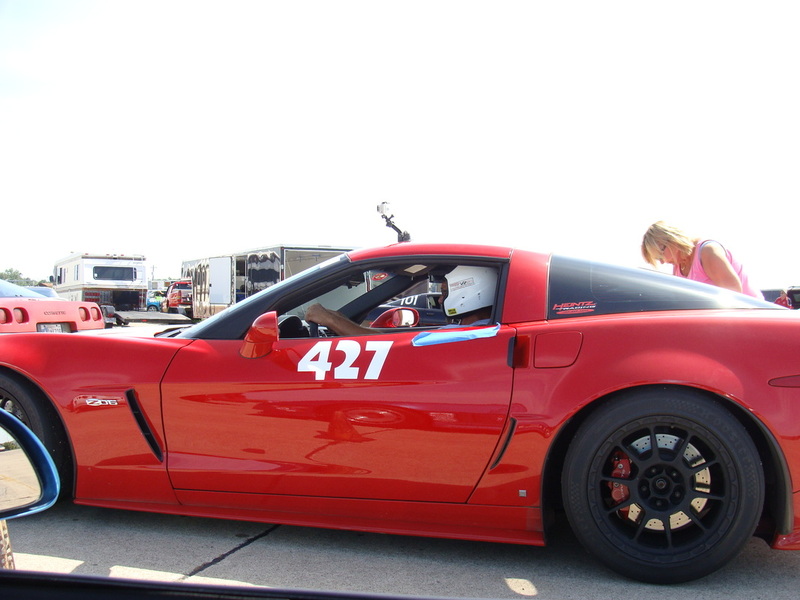 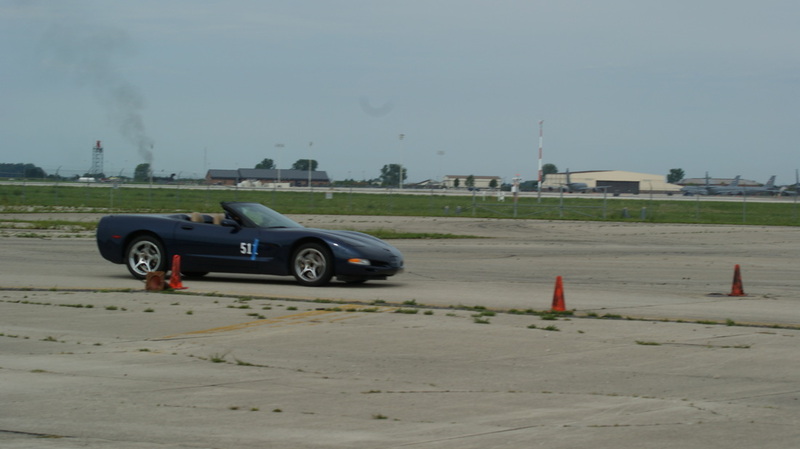 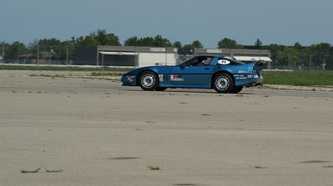 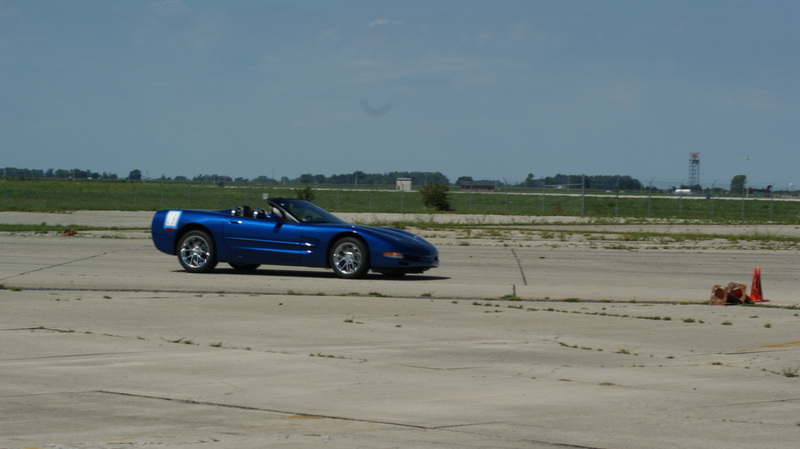 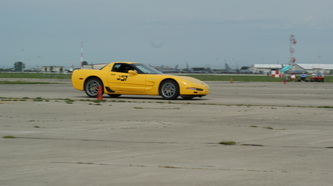 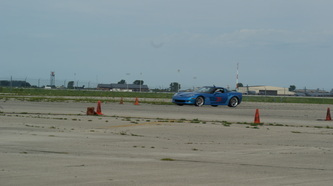 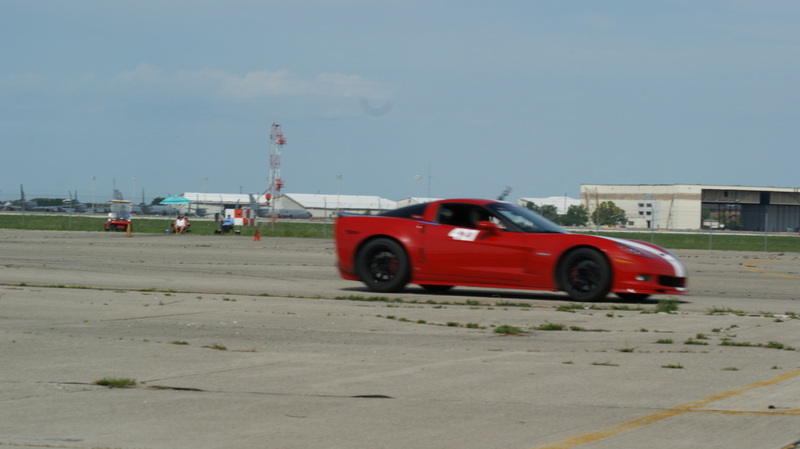 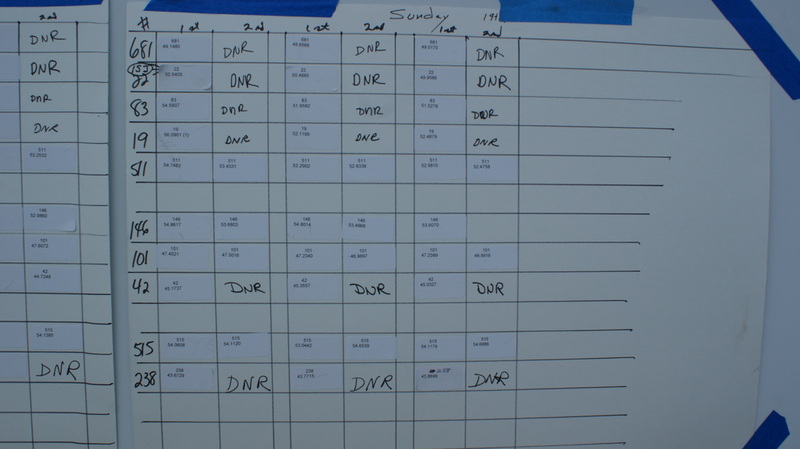 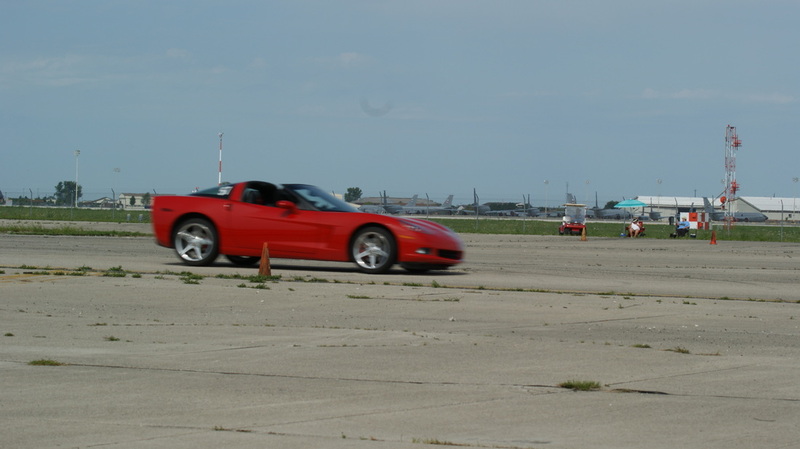 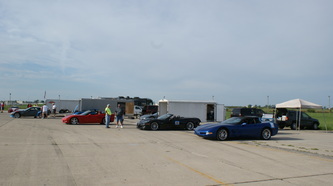 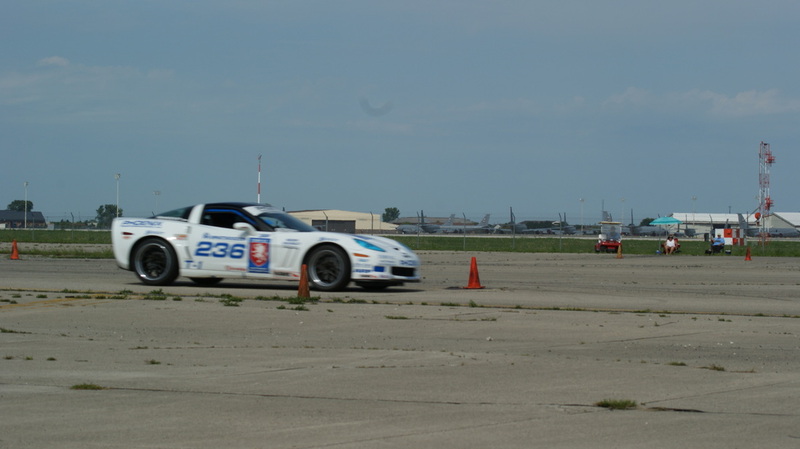 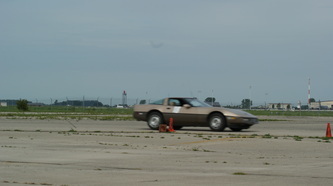 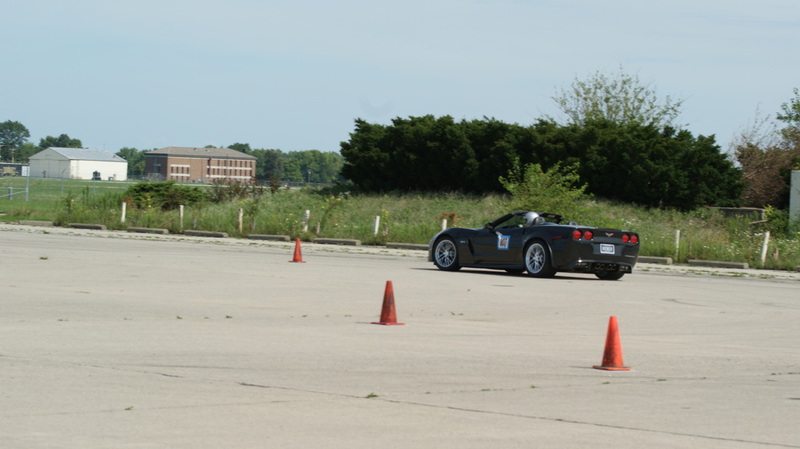 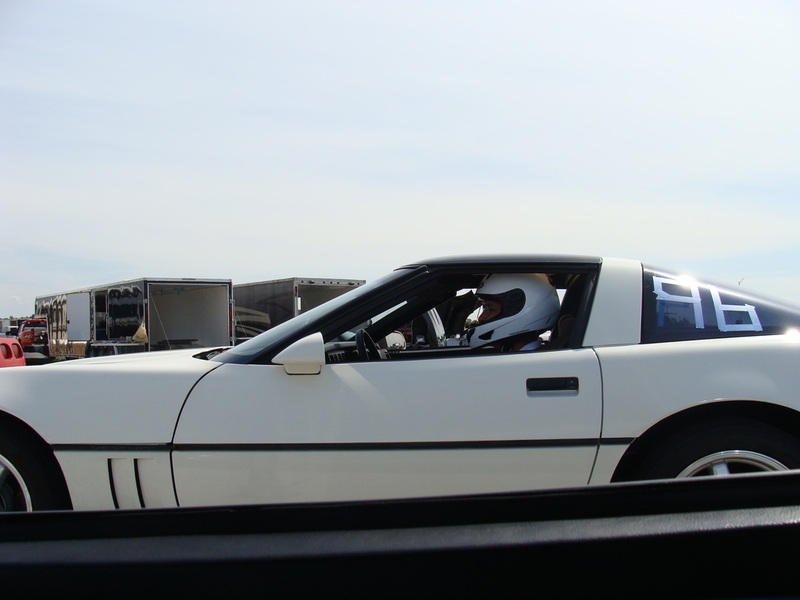 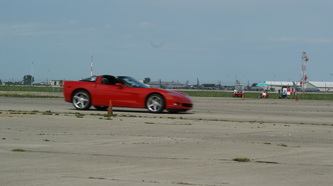 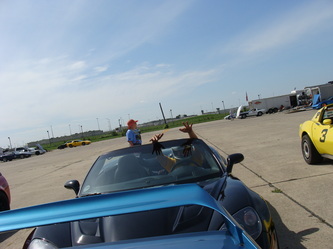 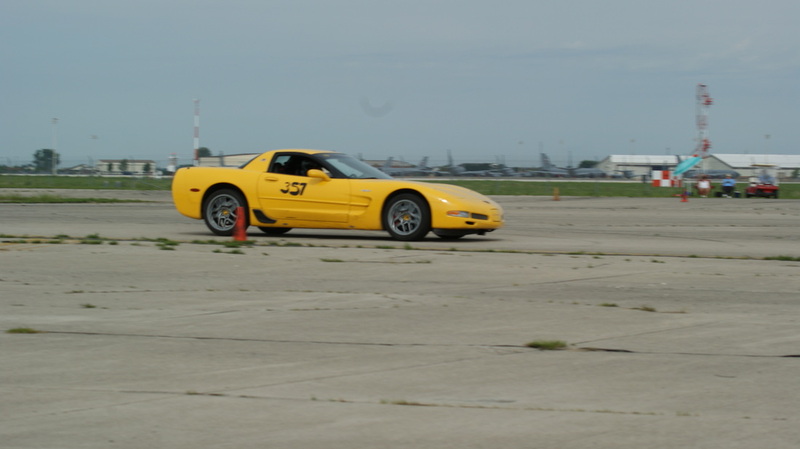 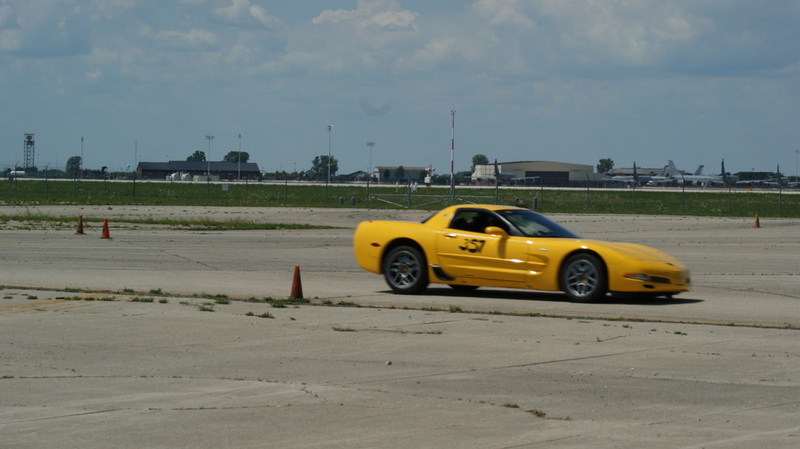 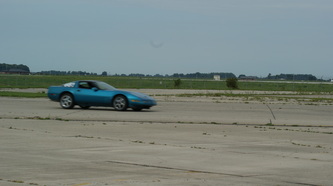 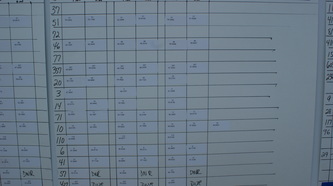 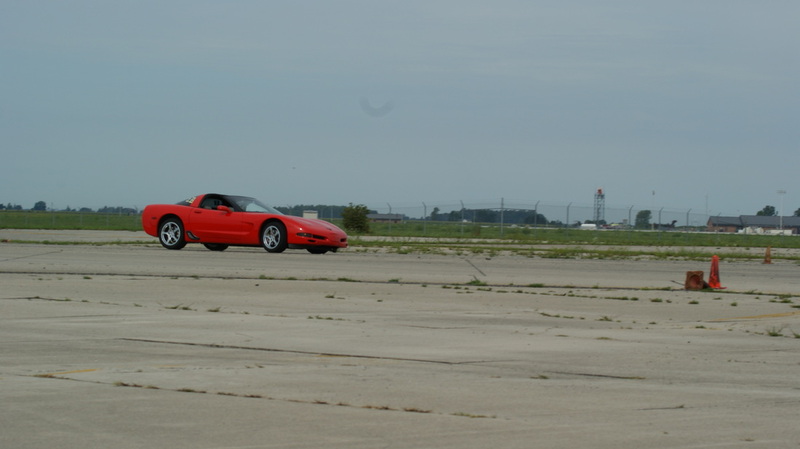 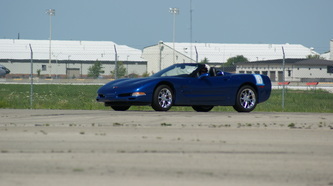 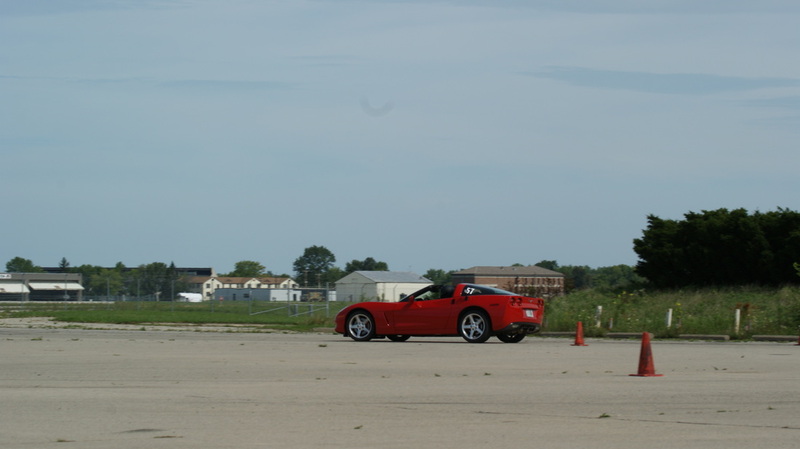 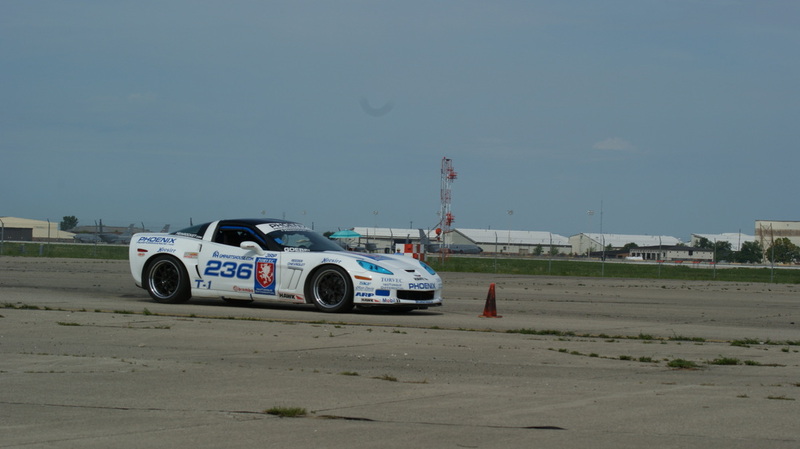 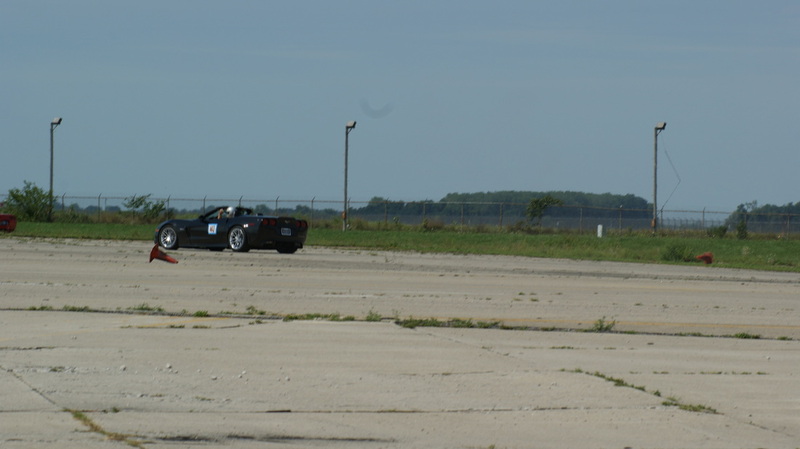 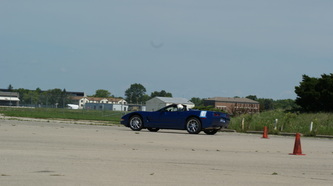 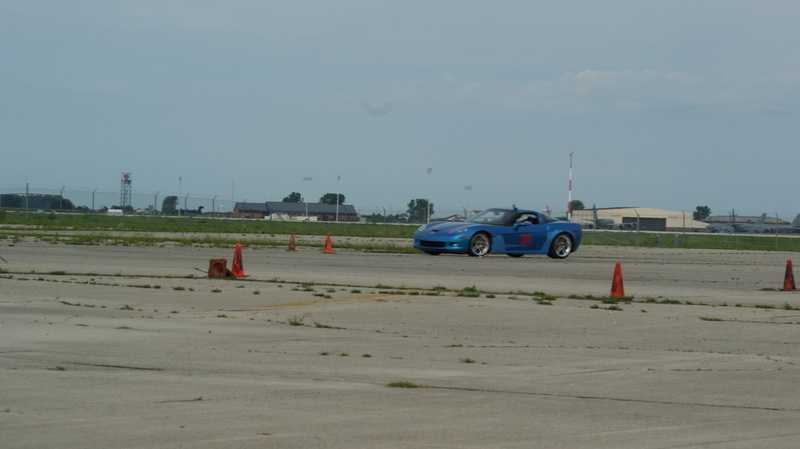 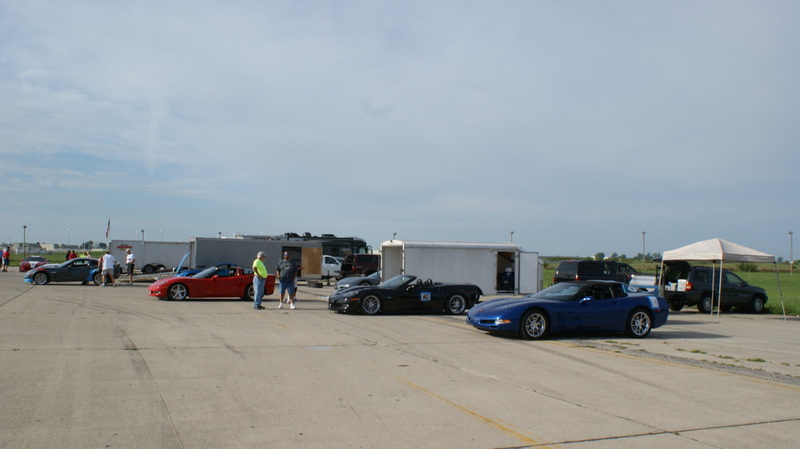 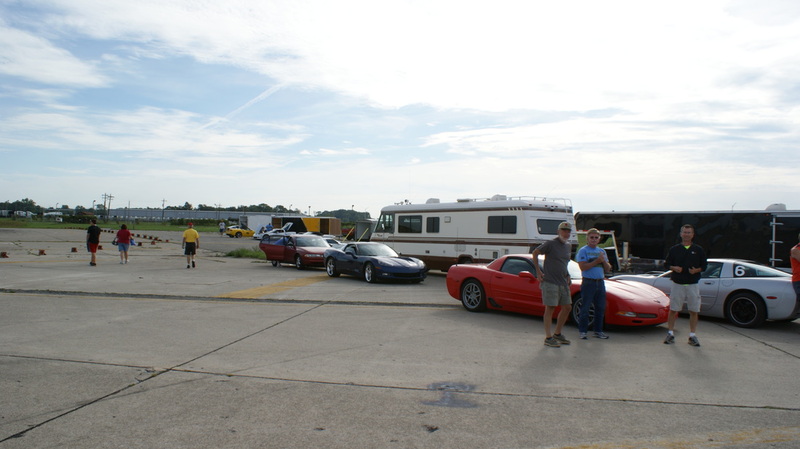 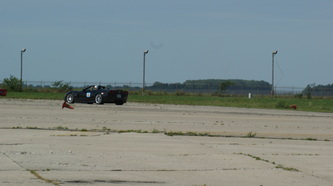 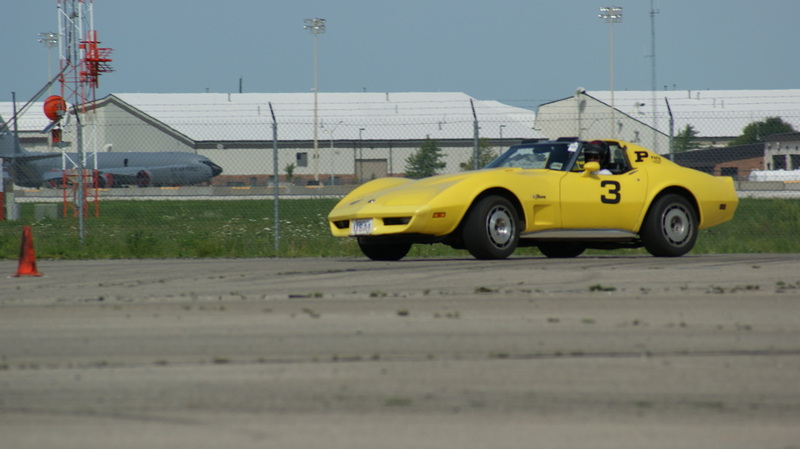 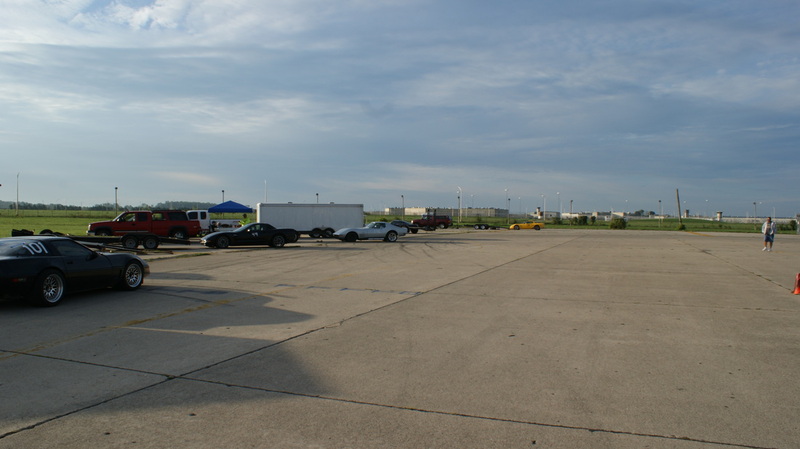 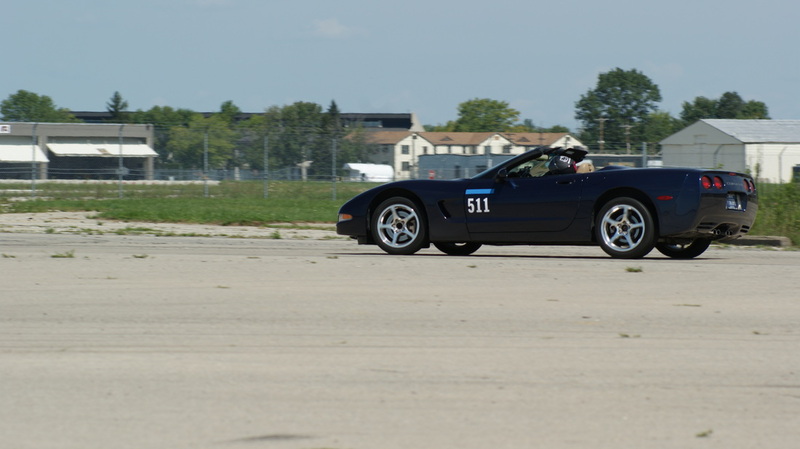 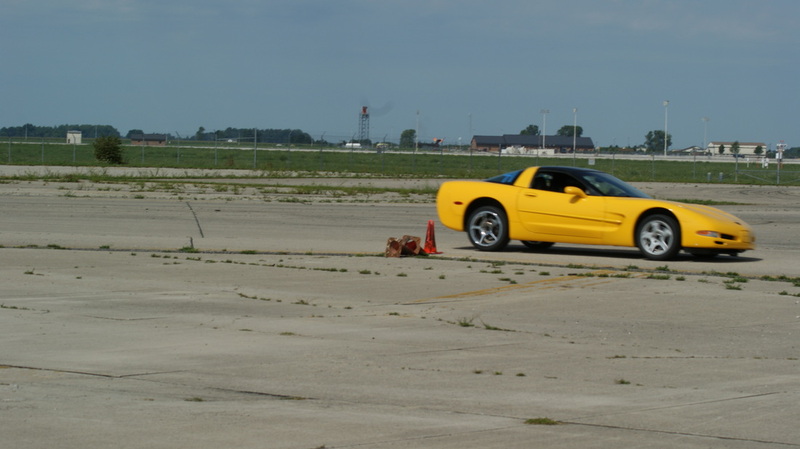 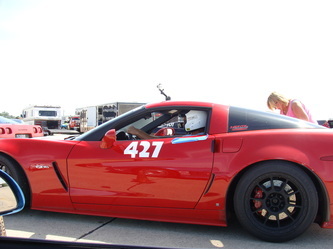 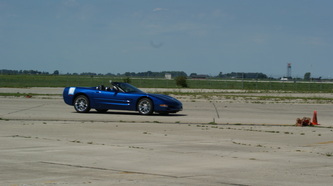 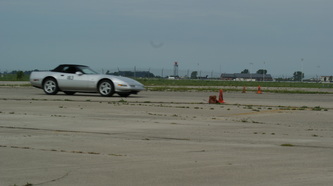 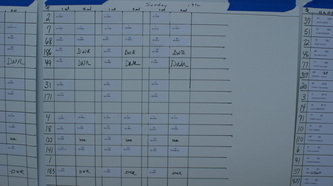 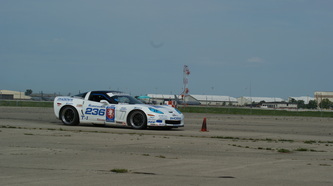 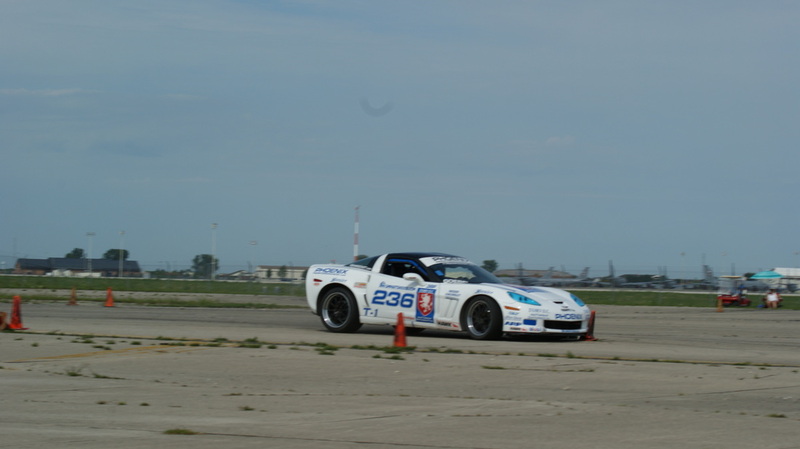 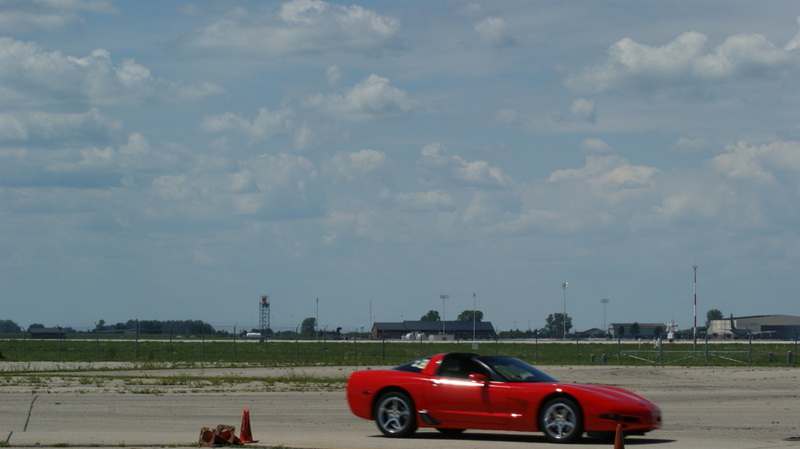 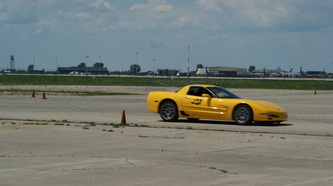 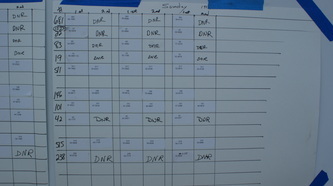 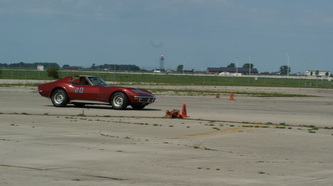 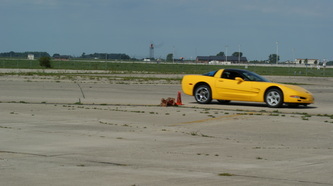 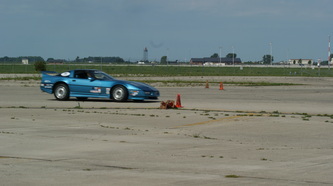 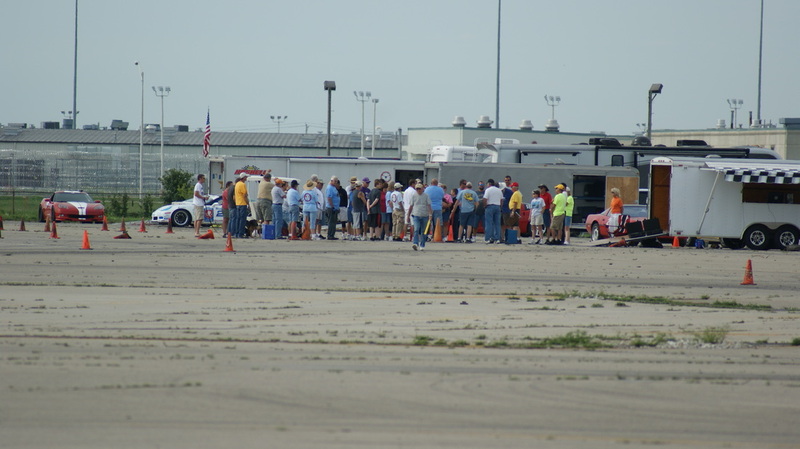 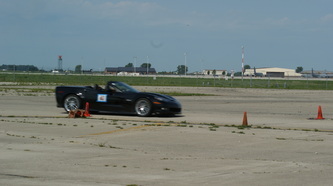 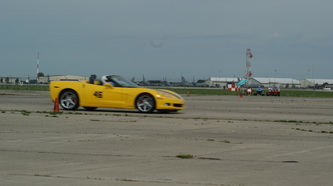 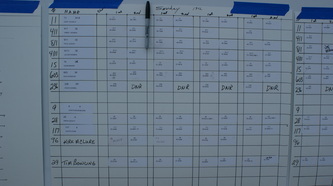 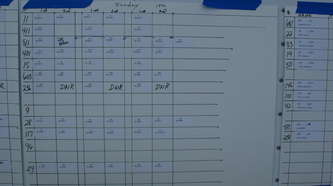 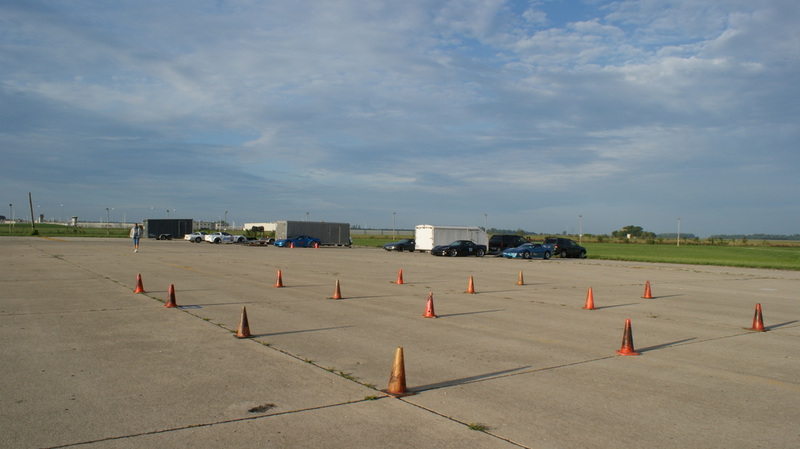 With the weather again beautiful and the track fast over 50 participants in Corvettes took to the closed track. 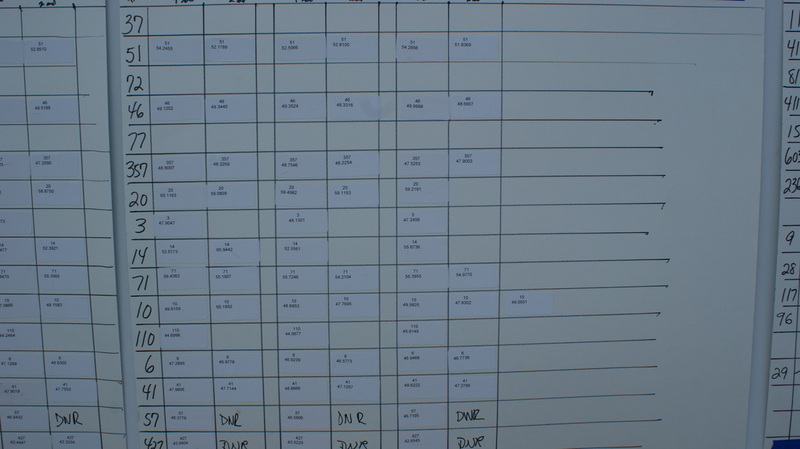 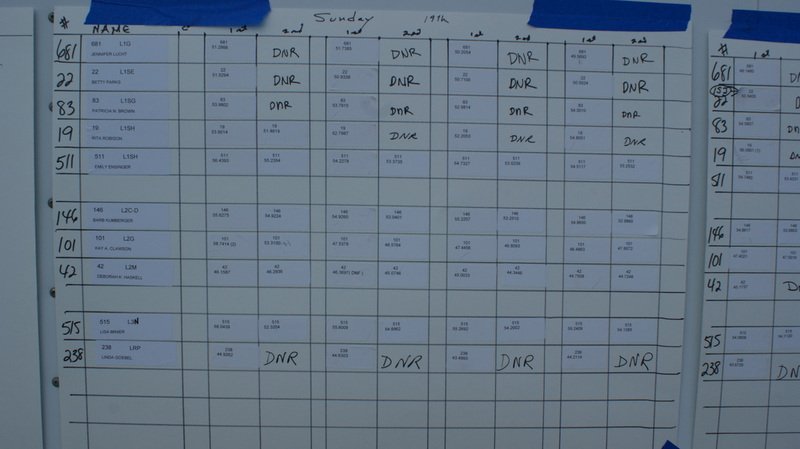 Many of the drivers were able to better their times of the day before with all having good times and very few DNF's for he day. 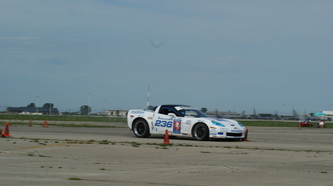 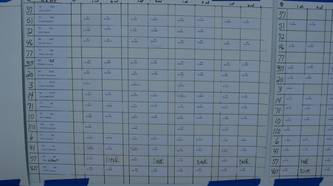 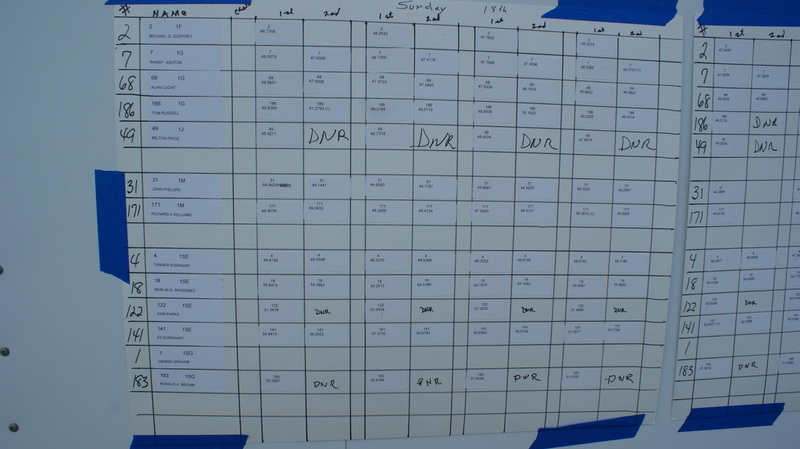 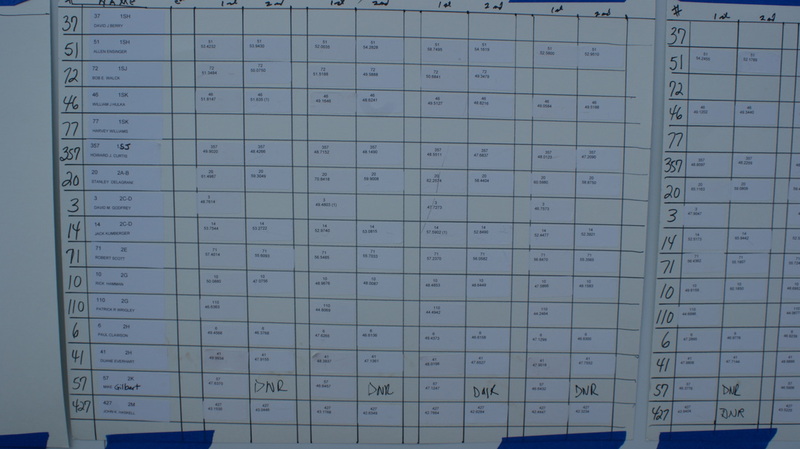 There were a few 360 spins, but most were without getting off course and therefore able to continue with a slower time posted. 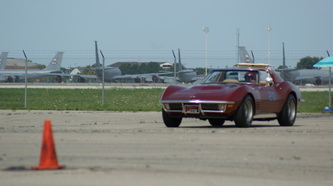 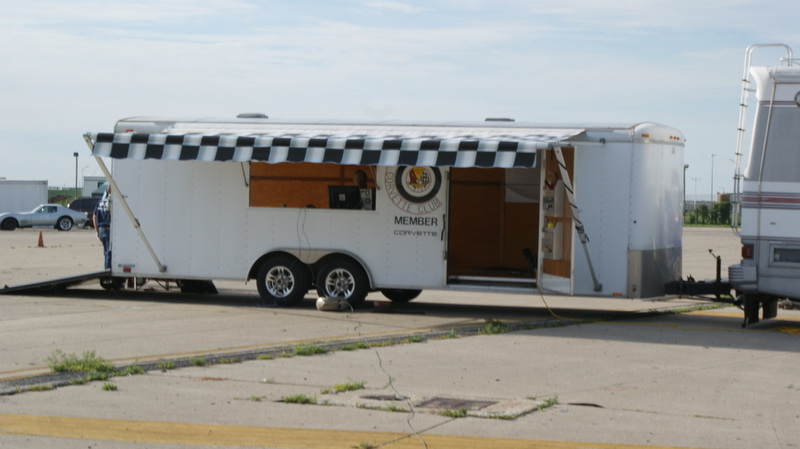 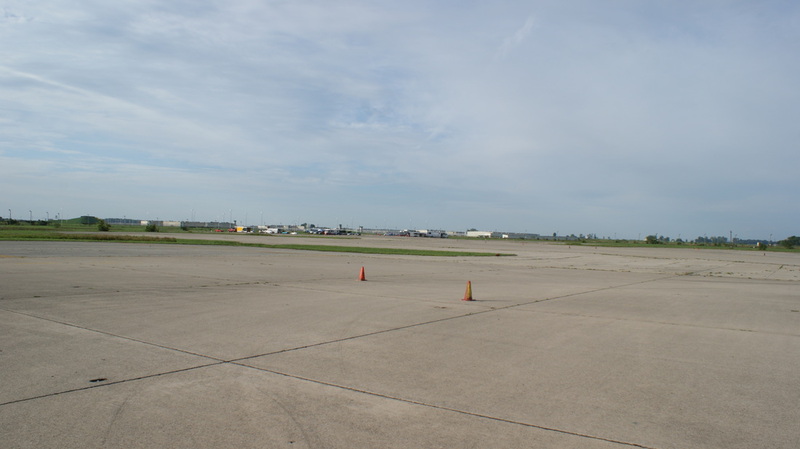 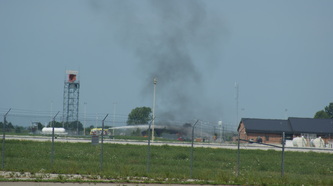 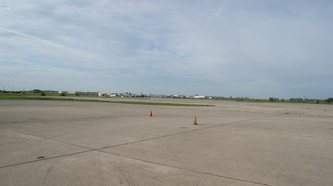 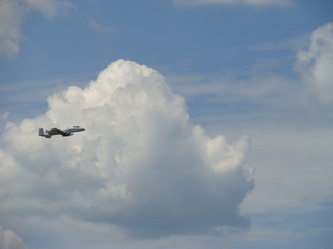 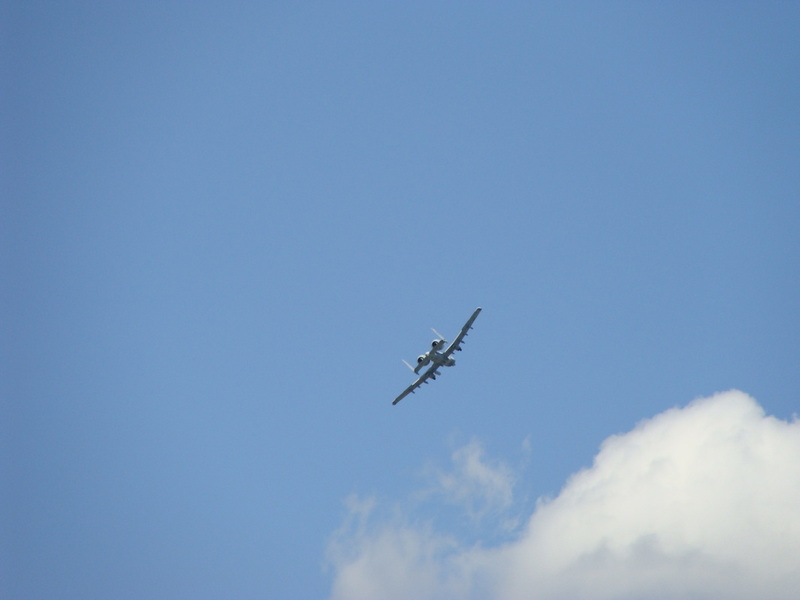 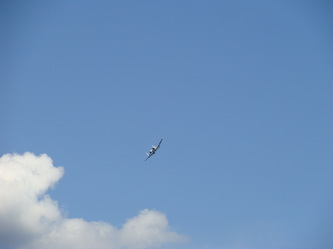 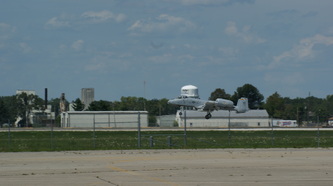 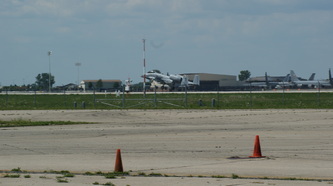 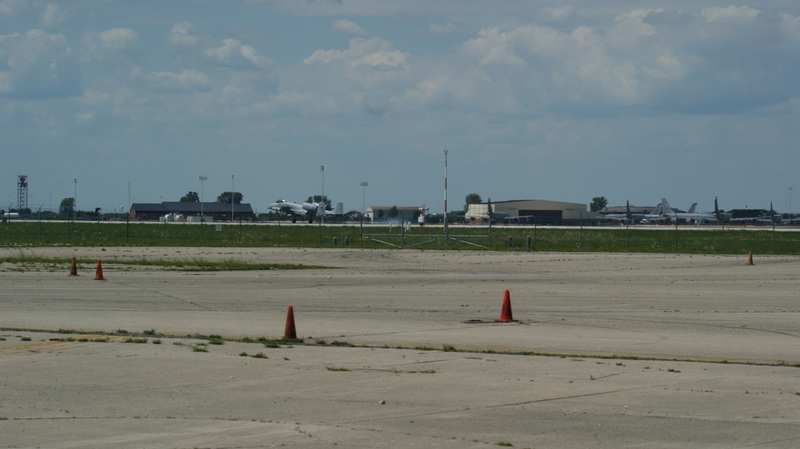 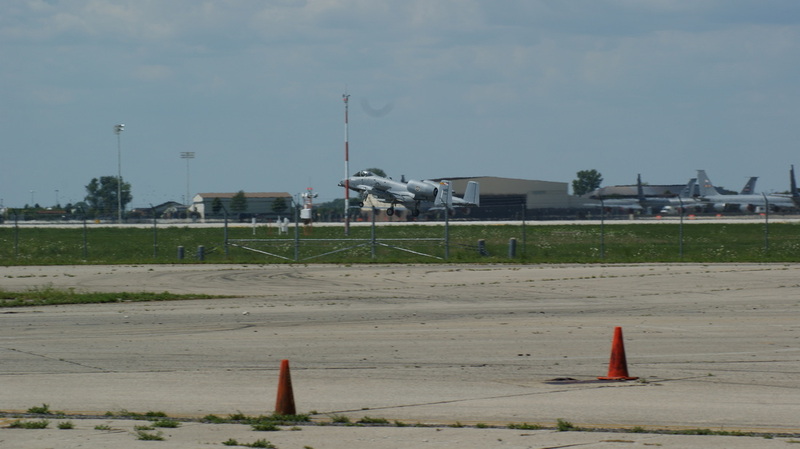 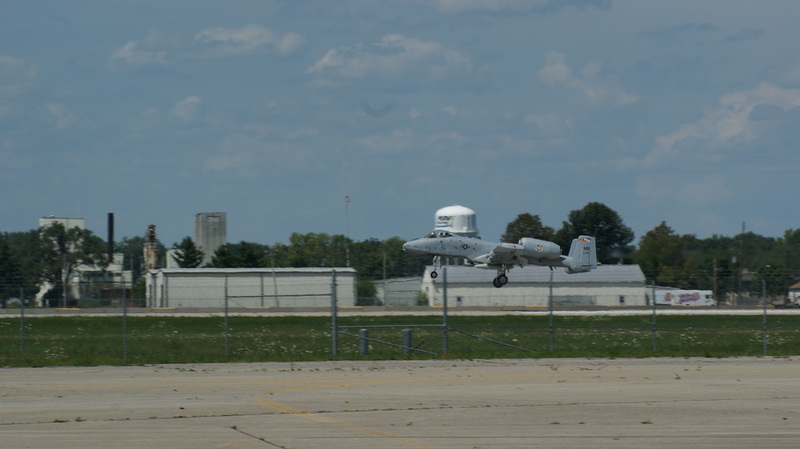 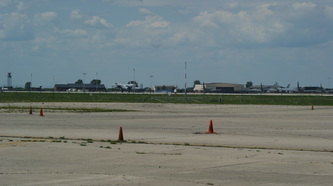 We also had the old AFB base in use for practice landings by 4 T10's for a real site of power. 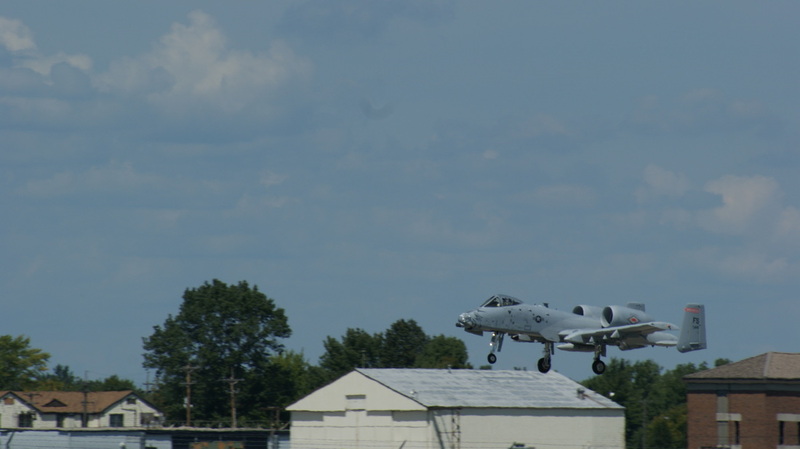 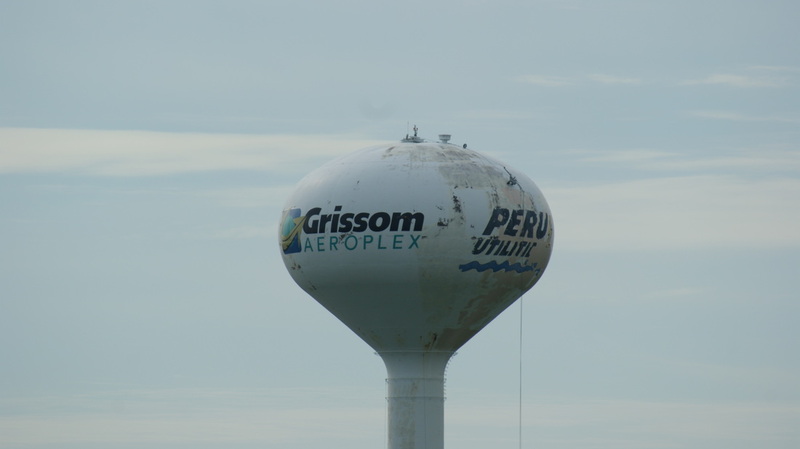 With safe runs and quick times the day was over early with the Governors then heading off to the Grissom Air Museum for their August Governor's meeting.